Influencer Marketing: Are You and Your BF Doing Instagram All Wrong? A recent article from GQ looks at how companies are tapping hot gay couples on Instagram to push their products. The article profiles various couples on the social media platform — mostly white, cis guys who identity as gay — who capitalize on their relationship and good looks for a trip to Portugal or a free class at SoulCycle. But is there a lesson to be learned here? If you’re not living out your relationship — shirtless selfies, morning coffee and all — for the world to see, are you missing out? So let’s take a second and break down some issues we have with influencer marketing. Of course, “normality” is hardly what comes to mind when most of us sift through their joint Instagram account, full of staged photos, heavy filter use and professional lighting. GQ claims Moore and Grant are “currently intent on using their clout to empower the LGBTQ community’s underrepresented communities,” but not one photo features anyone but them. Color us confused. While the (admittedly super handsome) couple’s bio on Instagram reads “couple ྾ travel ྾ activism ྾ life,” we’d love to hear more about the activism aspect. The four most recent posts on their blog include a sponsored post on hair loss, navigating social media, farmer’s market shopping and a destination piece on Portugal, most likely written following an all-expenses-paid vacation. Maybe we’re just being Judgey Judies, but research actually shows that influencer marketing is losing value for these big brand companies. Just think about it. When was the last time you saw a hot couple you follow do something and thought, “I need to do that, too” or “I need to go out and buy whatever that is.” More than likely you double-tapped the photo because the dudes are hot in their cute romper set, but you didn’t click through to buy one yourself, because you know you’d look ridiculous if you actually tried to wear that to Sunday brunch. Also, the jig is up. Many followers are keen to these sponsored posts, especially since Instagram has forced influencers to be more transparent with posts that are paid-for advertisements. 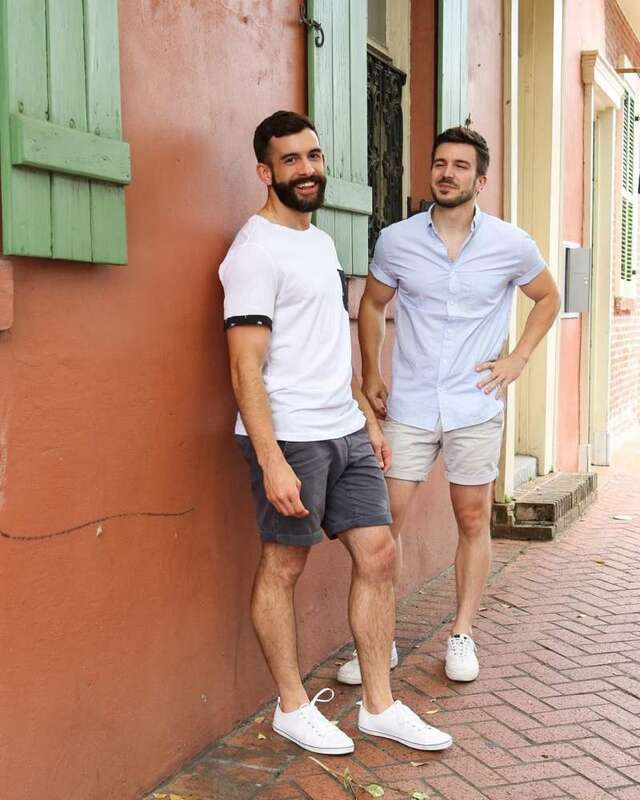 John Halbach and Kit Williamson, the gay power couple behind hit web series EastSiders, have seen their followers sound off with frustration about the couple’s feeds being full of ads. “Please stop advertising all the time. I like you guys, but it’s so annoying,” writes one follower. Then again, like we said, maybe we’re just bitter. We’re single AF and over here not making any money off our Insta followers. It seems my options are to get a boyfriend, add the word ‘activism’ to my profile and force my roommate to take pics of us cooking eggs in our underwear. Maybe then we’ll able to reap the benefits of being white, cis, gay and beautiful in 2018. What do you think of the influencer marketing trend on Instagram?